A property division under the helm of the Tan Lai Kim (TLK) Group of companies founded in 1973, Capital Land has made a name for itself with its series of successful development and launches of condominiums, shop lots, industrial, residential and mixed development projects. 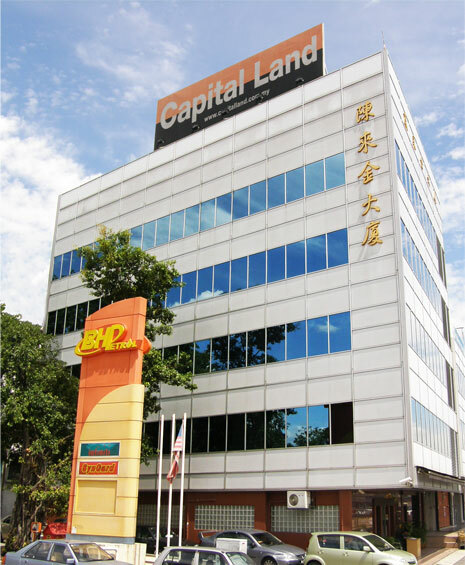 Spearheaded by Tan Sri Dato’ Dr Tan Lai Kim, "Quality Homes by Capital Land" has us demonstrating our dedication in delivering excellent homes in all our properties and the hallmark of success in all our development namely Taman Bukit Mas in Taman Duta, Damansara Kim and Taman Mayang Mas. Our recent ventures in Cheras Hartamas and Puchong Hartamas bring importance to thoughtful detailing that translates customer needs into reality. We thrive on the challenge of creating the customers' ideal homes. In honouring our commitment, we will continue to push the boundaries for improvement by introducing new and distinctive designs for a comfort living and excellent lifestyles. It is in our Mission to achieve a level of productivity that contributes meaningfully to the profit of the company. We believe in our Vision to accomplish our obligations in delivering a product of high standard and value to our customers in terms of the property we build and the services we provide. Our uncompromising commitment to act correctly, legally and morally towards our investors and customers will reaffirm that they had made a right choice to be our 'partners'. We aim to create a legacy in building excellence and impart our footprints in the Malaysian community development scene.